Try us Risk Free with our 7-days Money Back Guarantee. Make your choice and get started! Requirements: An Internet connection and a device that has: Windows (XP, Vista, 7, 8 or 10), Android (1.6 or later), MAC OS X (10.5 or later), iOS (iPhone &iPad), Windows Mobile, Windows RT, Chromebook OS, Linux, BlackBerry OS 10 (or later), PPTP, IPSec, or L2TP. Pandapow.co use industry standard SSL (Secure Sockets Layer) encryption to protect the confidentiality of your personal information. Yes. All our purchases come with a 7 day money back guarantee, without exception. This means that you have 7 days to decide if PandaPow is what you expected it to be. If not, simply "unsubscribe" and request a refund. It's simple and without hassels. NOTE: We are not able to process refunds for purchases done through the Apple App Store, as those are handled by Apple and must be requested through the App Store, their refund policy may differ from ours. Can PandaPow prevent others from eaves dropping on my internet activities? Yes. If you connect to the internet via an insecure public network, in particular if it is wireless, there are plenty of opportunities for eaves droppers to listen in. With PandaPow you will have an encrypted connection to our secure servers, which means these eaves droppers will have a practically impossible task to decode the data sent and received by your computer. I have downloaded the PandaPow app, now what? To start using PandaPow is as easy as 1, 2, 3. Simply launch the app, fill in your username and password (that you received in an email), then click connect. For more details, please check out our getting started guide. 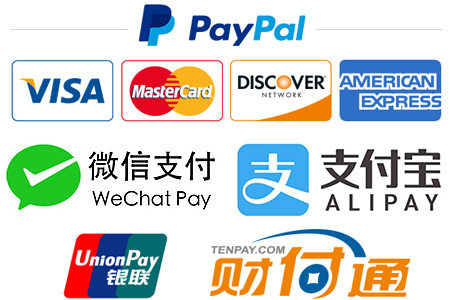 We support most online payment methods, such as: PayPal, Credit Cards (Visa, MasterCard, AmEx, ...), WeChat Pay, Union Pay, AliPay, and several more. Should you want to use a payment method we don't have, please don't hesitate to contact us so we can add support for it. PandaPow boasts world class support that will guarantee that you're up and running with shortest amount of time possible. Most time you won't need it, but if you do you can count on it. We provide help via email, chat, and phone. If needed, we'll even hook up to your computer remotely and fix everything for you. What does anonymous browsing really mean? Without PandaPow, your unique internet address (or IP-address) is stamped on everything you do online. With PandaPow, your IP address will be protected. Your online activity will instead be associated with an anonymous IP address from PandaPow, that can't be traced to you.